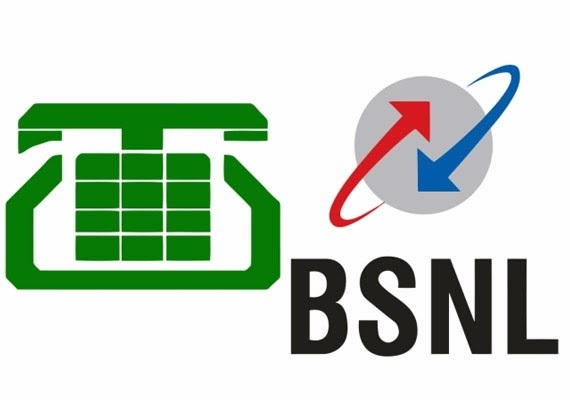 AFTER a gap of few years, the proposal for merger of two state-run telecom operators BSNL and MTNL is back on the discussion table with top officials at the telecom department once again 'brainstorming' on various options before the two loss-making, state-owned entities. recently discussed possibility of merging both the entities that are facing financial stress due to increasing competition in the sector. An official said that in the first phase, BSNL is keen on picking up mobile operations of MTNL in Gurgaon, Noida and Faridabad, where it is already offering landline and broadband services. The meeting, headed by the then Telecom Secretary JS Deepak, was held 2-3 weeks ago and idea is gaining ground once again. The idea of merging the two firms was first mooted years ago by the then telecom minister Late Pramod Majahan and has been discussed. Officials said, however, that the talks on the merger have been revived at the instance of senior officials in the government. On the hurdles to the move staffing and salary related issues pose a big challenge. Also MTNL is debt-laden and while the move will be a positive for it, BSNL will have to bear the brunt. MTNL has been reeling under "serious" debt problem and is borrowing money to meet its day-to-day requirements. In written reply to the Rajya Sabha in November last year, Communications Minister Manoj Sinha had said: "In case of MTNL, it has been going slow in upgradation of equipment during the last 4-5 years due to severe financial problems. MTNL is under serious debt burden and is borrowing money to meet its day to day requirements." MTNL's standalone net loss has widened to Rs 819.96 crore, surpassing its total revenue, during the three-month period ended December 31, hit primarily by finance cost. The net loss surpassed its total income of Rs 690.59 crore. The total debt of MTNL reached Rs 19,418.23 crore at the end of December 31, 2016, from Rs 11,542.3 crore in 2012-13, according to official data. In 2015-16, MTNL reported total annual revenue of Rs 3,197.41 crore and net loss of Rs 2,005.72 crore. The losses of BSNL have narrowed however to Rs 4,890 crore for the nine month period of the current fiscal, from Rs 6,121 crore in the year-ago period. It posted 5.8 per cent increase in income from services at Rs 19,379.6 crore during the period under review. As per telecom regulator Trai, as of December 31, BSNL and MTNL had a market share of about 9 per cent of the total wireless subscriber base of 1.12 billion. Meanwhile, shares of MTNL soared 8 percent following the report. Reacting to the development, the stock of the once crowning jewel of the government surged as much as 8 percent to Rs 24 on the BSE. On the volume front, 13 lakh shares exchanged hands on the counter against its two-week average of nearly 5 lakh shares on the BSE.